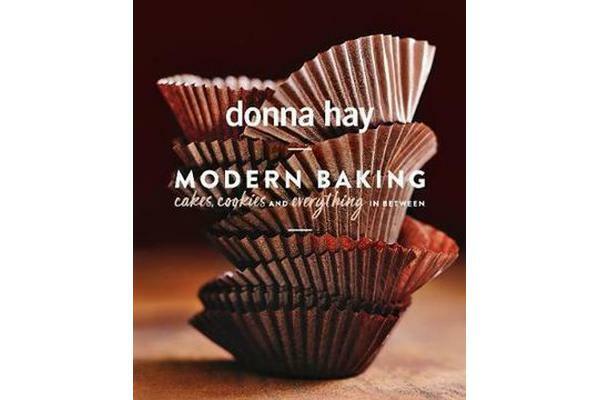 Donna Hay, Australia’s bestselling, favourite and most trusted cook, brings you one of her most beautiful books yet: Modern Baking, with over 250 mouthwatering recipes for cakes,biscuits and all kinds of divinely delicious sweet treats. I find there’s something truly enchanting about baking. From the way ingredients change as they’re whisked and whipped, to the joy that a warm slice of cake can bring – it’s always been my first love in the kitchen. Even though I’m a classics girl at heart, I’m forever adding on-trend twists to my sweet recipes and I want to share them with you. This book is what I like to think of as my modern baking bible. Inside are more than 250 recipes – my all-time favourite essentials, plus some super-smart shortcuts for when life gets crazy busy. I’ve also included plenty of better-for-you treats, made with wholesome raw ingredients, for a touch of balance. Be it chewy cookies, the fudgiest brownies, dreamy meringue or creamy iced desserts, let these modern sweets bring a little magic into your kitchen.